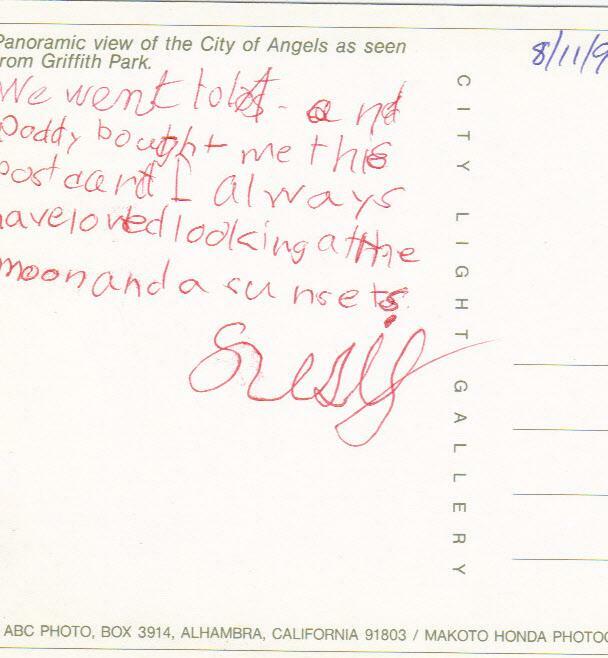 We went to los LA and Daddy bought me this postcard and I always have loved looking at the moon and a sunsets. Panoramic view of the City of Angels as seen from Griffith Park. 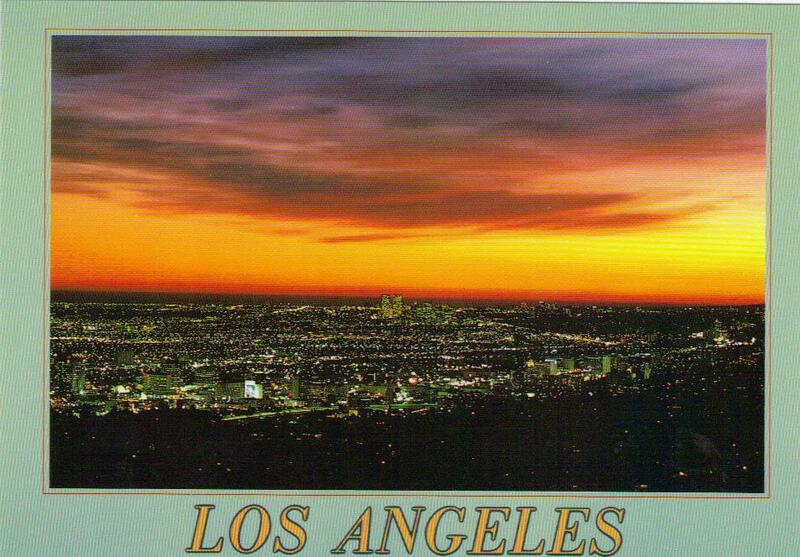 Aww, Susanna is imitating her dad's postcard rhetoric. By this time we lived in Arvin, so going to LA was a semi-regular treat.